I got hooked on SuperButter. If you are looking for a peanut butter equivalent that doesn't have any nuts, then look no further. This year I got some really great new items at the Fancy Food Show. Sometimes a new item will interest me, but not actually hook me. SuperButter has hooked me. Roasted sunflower, flax and sesame seeds comprise the flavorful base, with a little cane sugar, palm oil and sea salt added for maximum deliciousness! SuperButter premium seed butters are high in protein, fiber and antioxidants (Omega 3's and Vitamin E), are gluten, trans fat and cholesterol free, and contain less fat than regular peanut or nut butters. 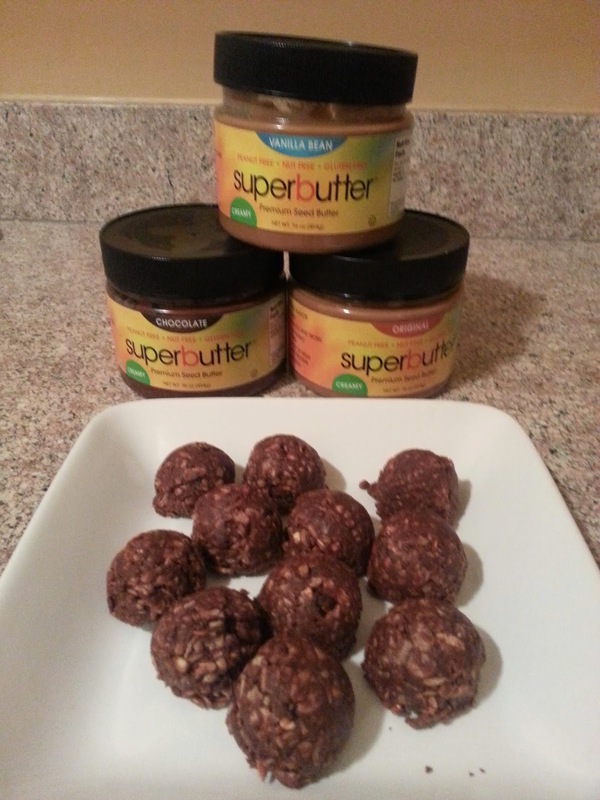 Yes, this is an all natural, super healthy, non-nut butter that can be substituted into your recipes like peanut butter! And it comes in original, crunchy, vanilla bean, and chocolate flavors! I should tell you that I've never been a big peanut butter fan. I don't hate it, but it's not high up on my food list. I'm not interested in peanut butter cookies, Reese's or other peanut butter flavored candies, cookies, or desserts. I will eat a PBJ on occasion and I do like it as an ingredient for satay and curries. Not that interested in putting it on my burger either. And in the argument on creamy versus crunchy, I'm a crunchy gal. I have to say, though, that this SuperButter....I like it a lot! I had to try SuperButter out to see if it really could be exchanged for peanut butter in a recipe and so I chose my favorite chocolate chip cookie - the Monster Cookie. 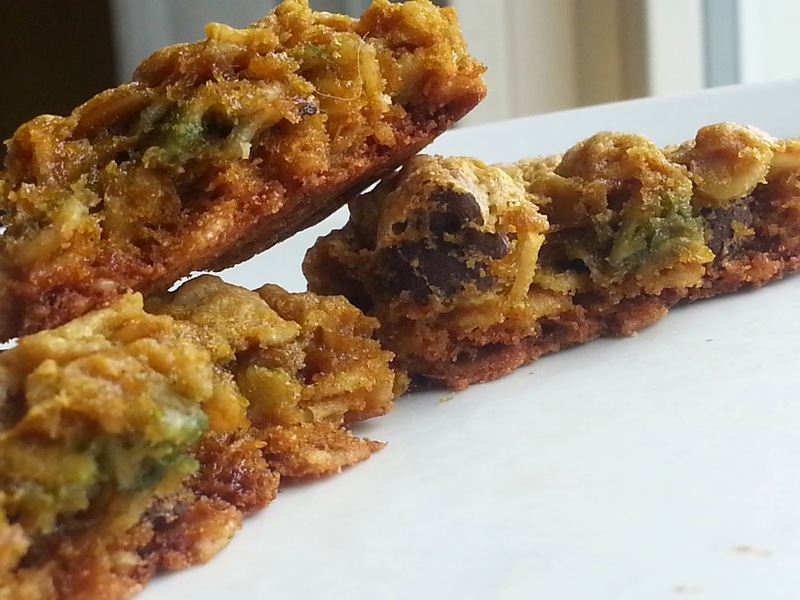 Monster cookies are actually gluten-free because they don't use any flour, but instead use oatmeal. I like them because they remain chewy for days. The recipe uses 12 ounces of peanut butter. The SuperButter version came out beautiful and delicious, except for one weird thing. A few hours after I got home I looked at the mixing bowl and then at the cookies and found a strange, bright dark green color. If the product is all natural, what in the world is this green chemical reaction? All plants contain chlorogenic acid mostly in the stems and leaves, but sunflowers also have it in the seeds. SuperButter will turn cookies and other baked products green as they cool if you are using standard recipes; the solution is to reduce the amount of baking soda or baking powder in your recipe by almost half. This balances the acidity of the ingredients and keeps them from changing color. Adding a bit of lemon juice to your dough or batter can also help maintain expected color. Even though these are cookies, they are or can be pretty healthy too if you use a different sweetener. But where I'm going with this is that due to the SuperButter and the oatmeal, I was eating a cookie before going to spin class for some extra energy. Did I notice a difference in my workout! I plowed through spin class every time I had a cookie before hand! I decided then that my next experiment would have to go to power bites without the sugar. So I made the power bites you see in the top picture with the recipe below. These are also gluten-free and are not cooked. Now I eat one of these pre-spin class. And I do notice the difference. I had meant to grab one before Friday's class, forgot, and sure enough I noticed a lag in energy. 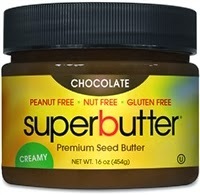 SuperButter has definitely hooked me and so now it is a matter of spreading the word to get it in nearby stores. I already mentioned it to Sprouts. It is available online at Amazon and SuperButter.com. 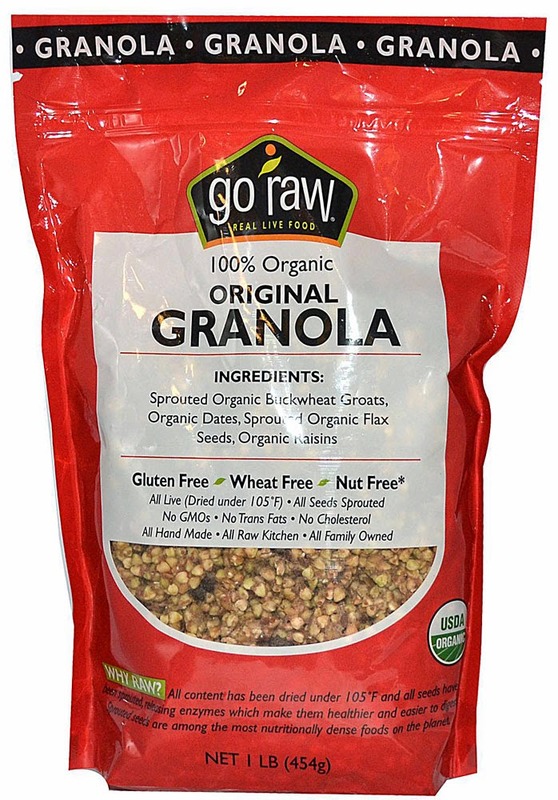 Note: I like to use Go Raw brand granola because it is super crunchy and has no added sweeteners that ruin granola's health benefits. Mix everything together thoroughly in a bowl. Use a small scoop to shape bite sized balls of dough. Place on a cookie sheet or plate, cover with plastic wrap and refrigerate. Once hardened, store in a sealed container in the refrigerator. 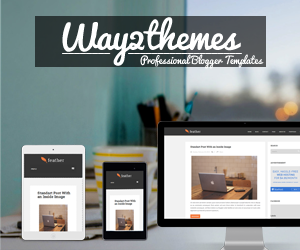 Dinnerwire is keeping me busy.